Artist/Author: Beaman, John H. and Peter J. Edwards. The Kinabalu flora includes about 5000 species of vascular plants, of which some 12 percent are ferns. They occur from the lowest elevations to the highest and in every conceivable habitat, are common as terrestrial species and as epiphytes, and not a few are found mostly on rock outcrops. The first fern specimens from the mountain were obtained by Hugh Low in 1851, and they have been actively collected ever since. 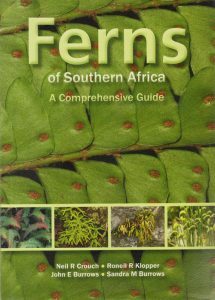 The inventory of ferns published in 1992 (Parris, Beaman & Beaman) included 593 taxa (excluding the Lycopodiaceae and Selaginellaceae, which no longer are considered fern allies). The checklist in this volume notes 590 taxa. Some species have been added, others removed, and the names of others changed as a result of progress in knowledge of fern relationships. The Kinabalu fern flora is now represented by over 4600 specimens in herbaria where we have been able to examine them and probably that many more in collections not studied. 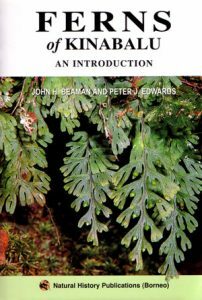 The 100 species, subspecies and varieties described and illustrated in this guide comprise about 17 percent of the Kinabalu ferns, including members of all 29 families. Generic representation is fairly good, amounting to 47 percent, i.e., 64 of the 135 known genera.